Comfort - your way. 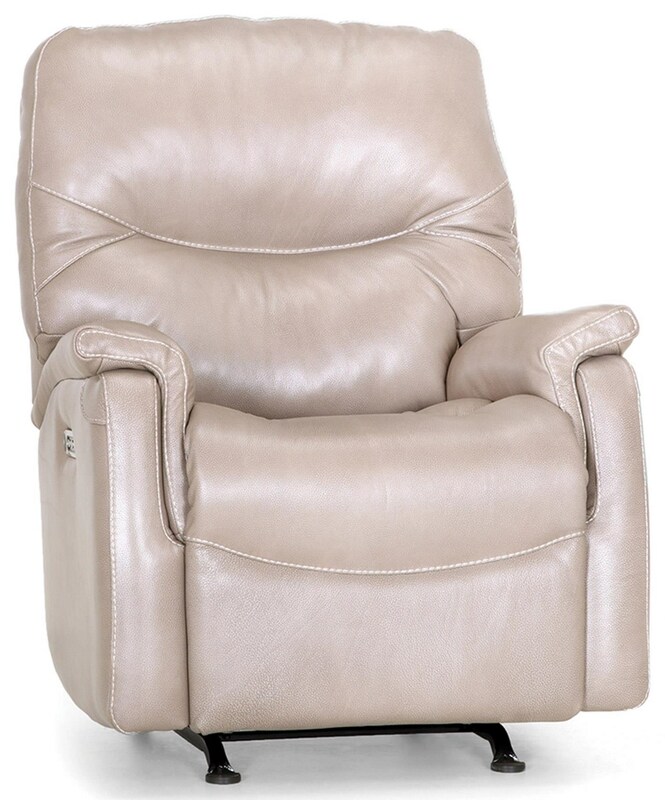 This power recliner allows you to fully customize your seating with a power headrest, power footrest, and power lumbar, giving you a truly unique and specialized experience at the tips of your fingers. With a USB port in the control panel for added convenience, this recliner is guaranteed to become the most coveted seat in your home. The Summit Power Rocker Recliner with USB Port and Power Headrest, Power Footrest, & Power Lumbar by Franklin at Great American Home Store in the Memphis, TN, Southaven, MS area. Product availability may vary. Contact us for the most current availability on this product. Fabric Content Upholstered in thick leather with matching polyurethane trim.